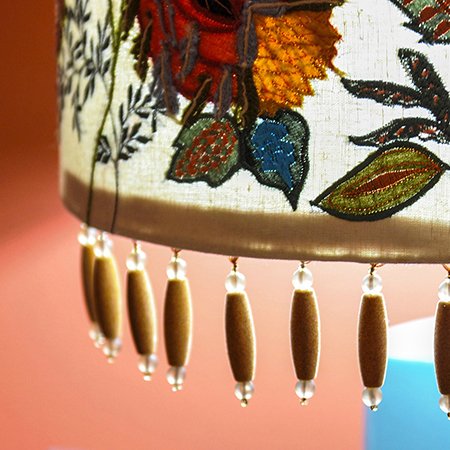 This collection is a showstopper featuring a gorgeous 3" elongated barrel fringe flocked in felt and bookended by matte glass beads. The fluffy braid is quirky and fun - a great piece to add texture to your designs. The refined lipcord is uniquely braided for a tailored look. The clean lines of the drapery tieback are also on point. Don't overlook the barrel skirt fringe which nicely drapes furnishings in transitional to traditional settings. The color pallete is modern yet can accent any traditional décor with it’s versatility and design flair.